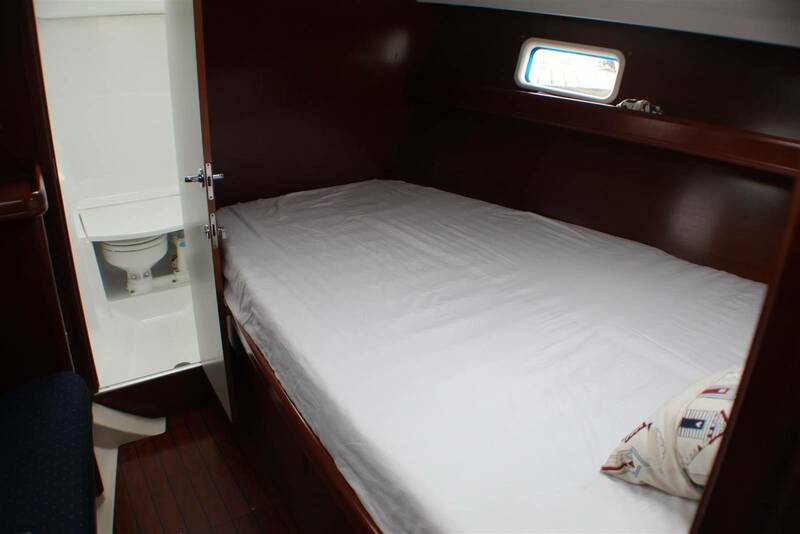 Comfortable and spacious design capable of sleeping 7 in the form of two double cabins and a convertible saloon. 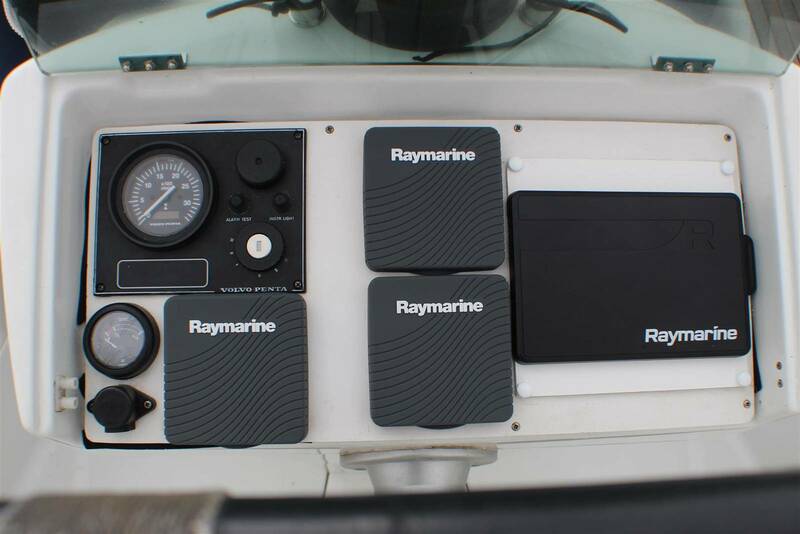 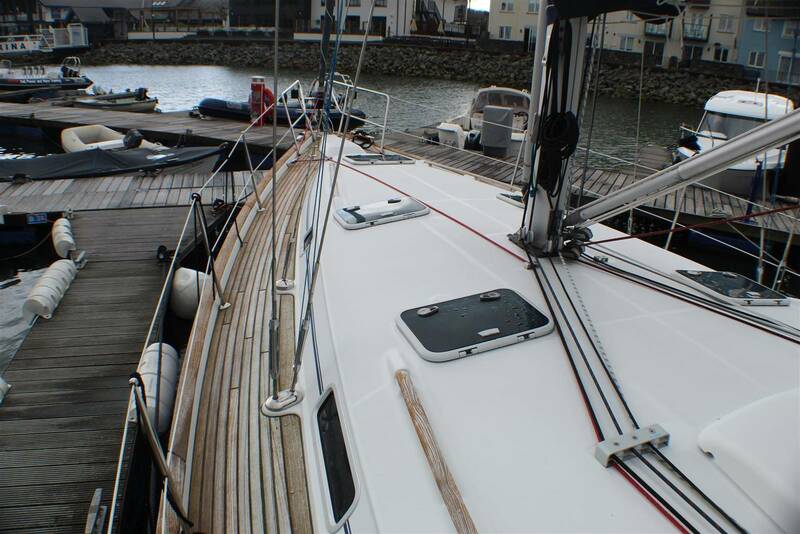 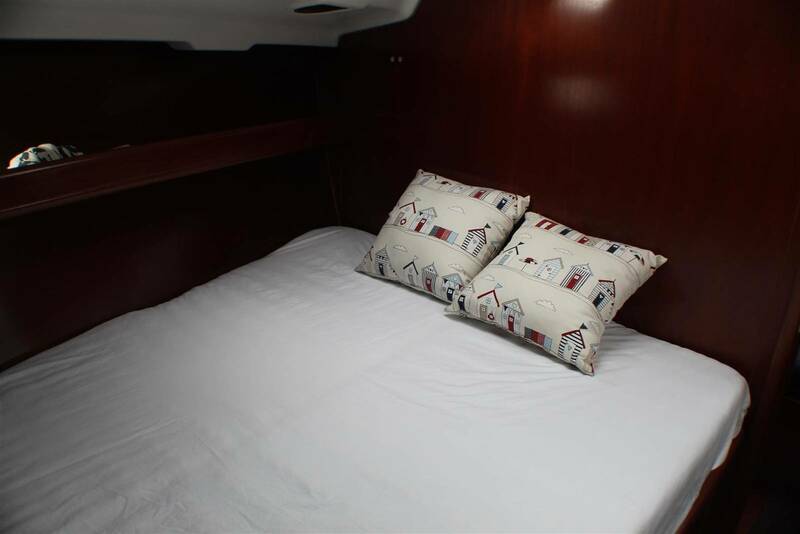 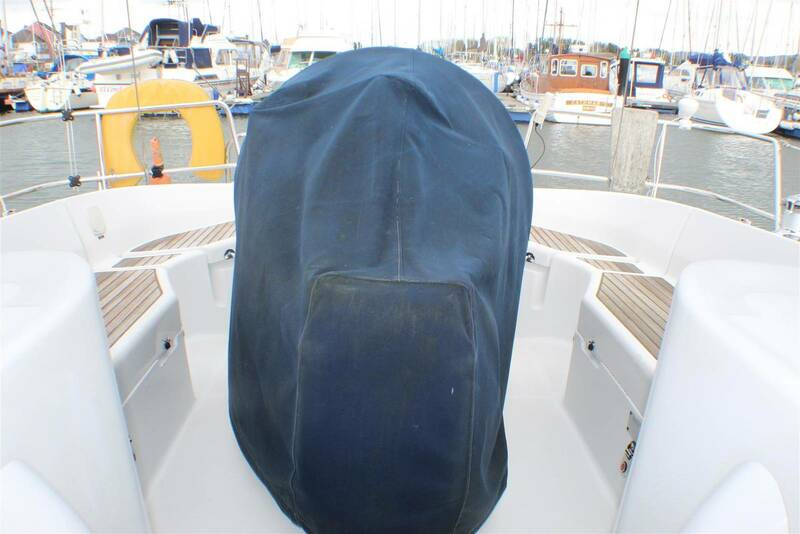 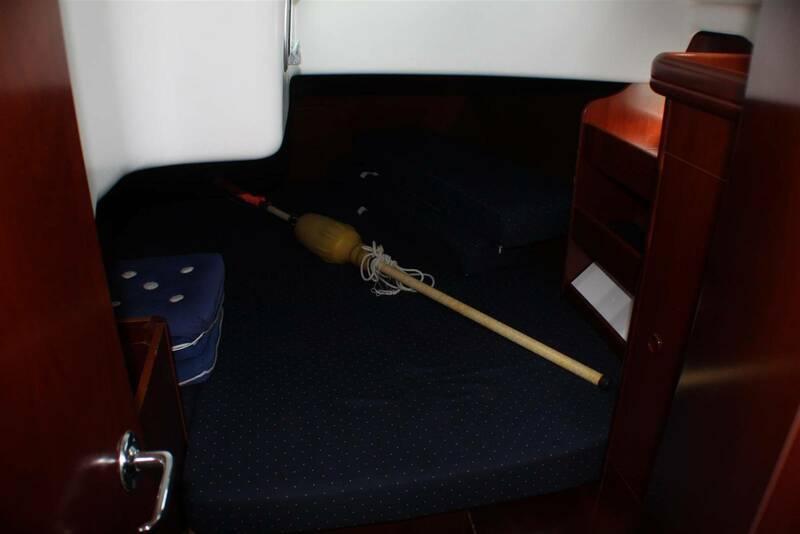 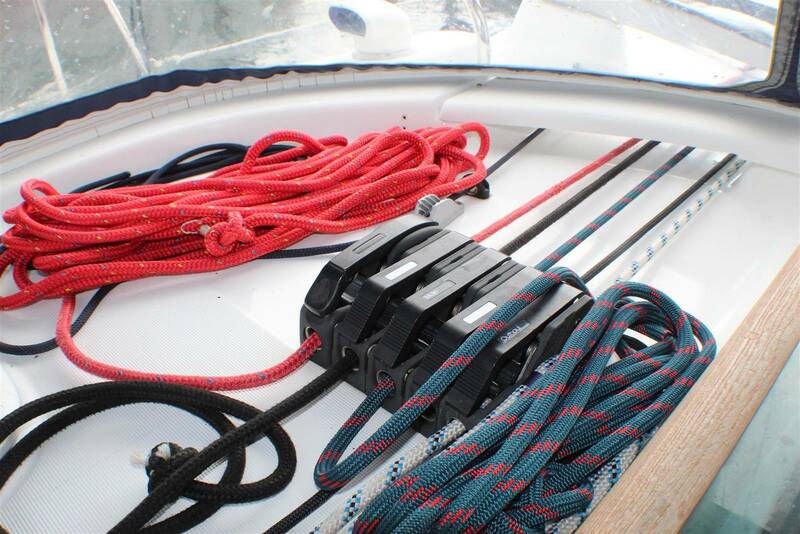 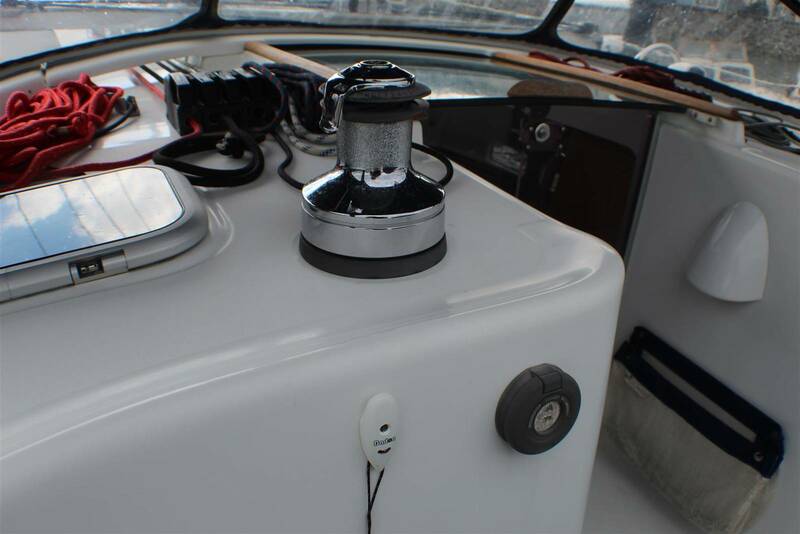 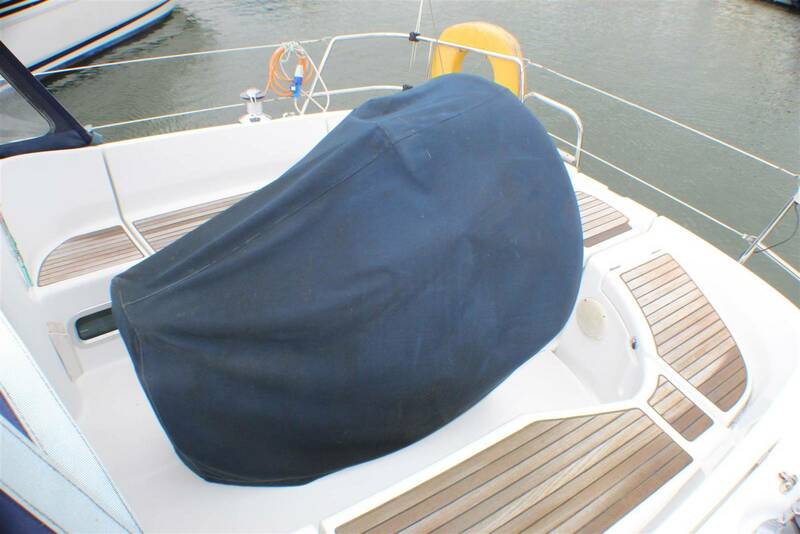 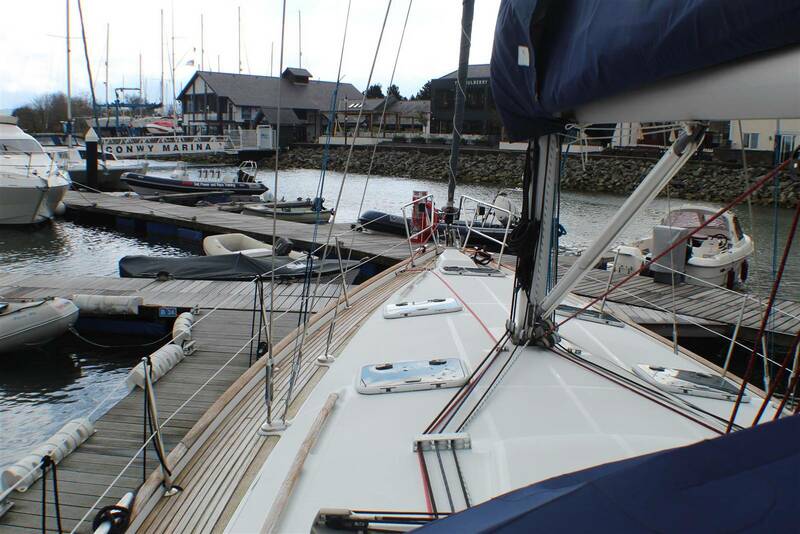 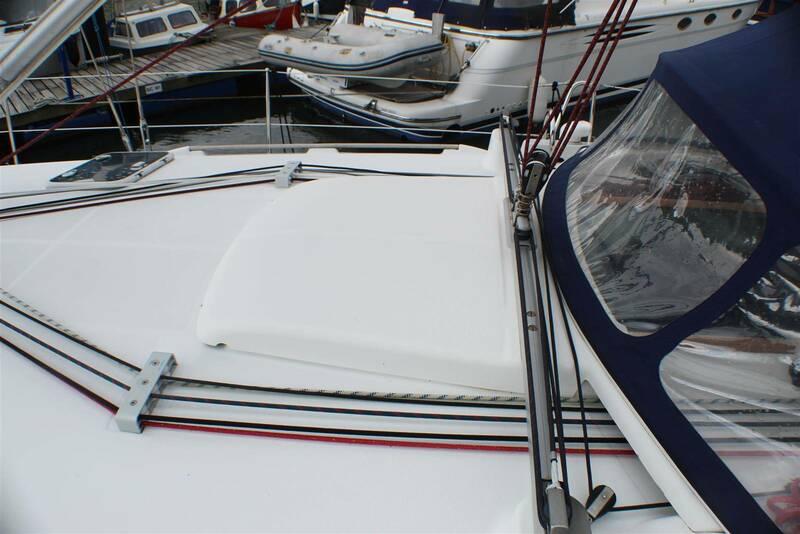 Forward cabin has the double berth to starboard allowing walk through access to the en-suite head. 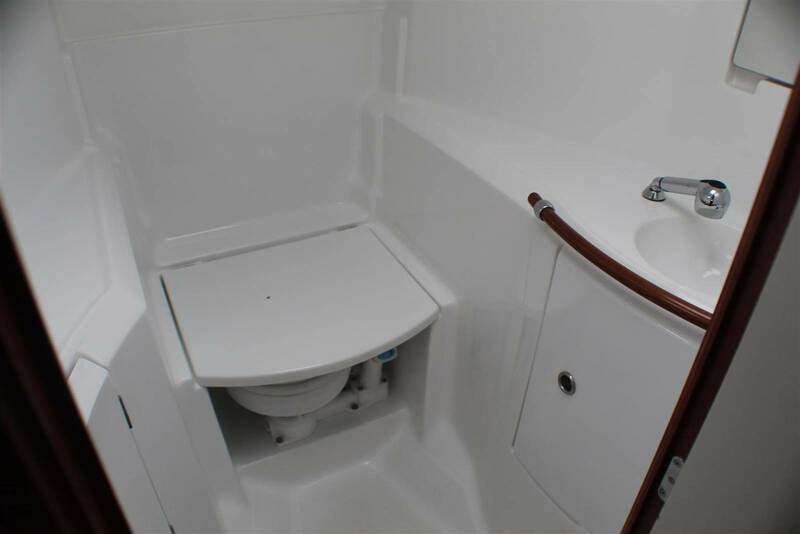 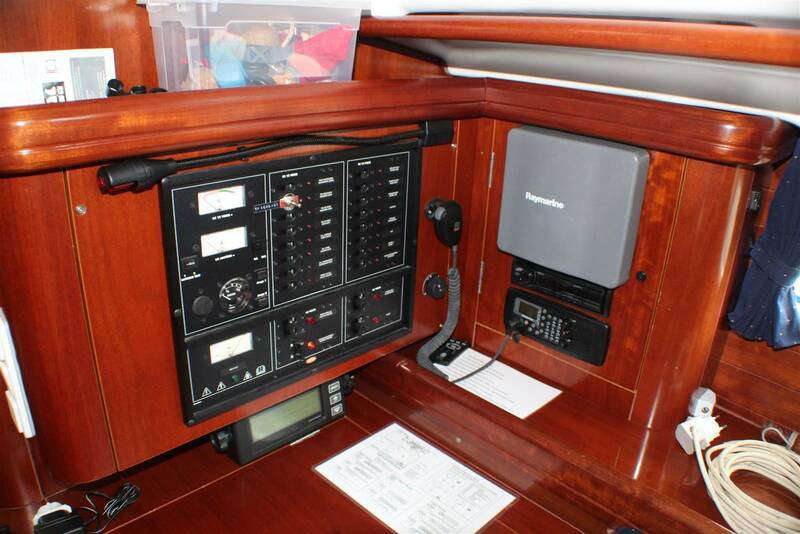 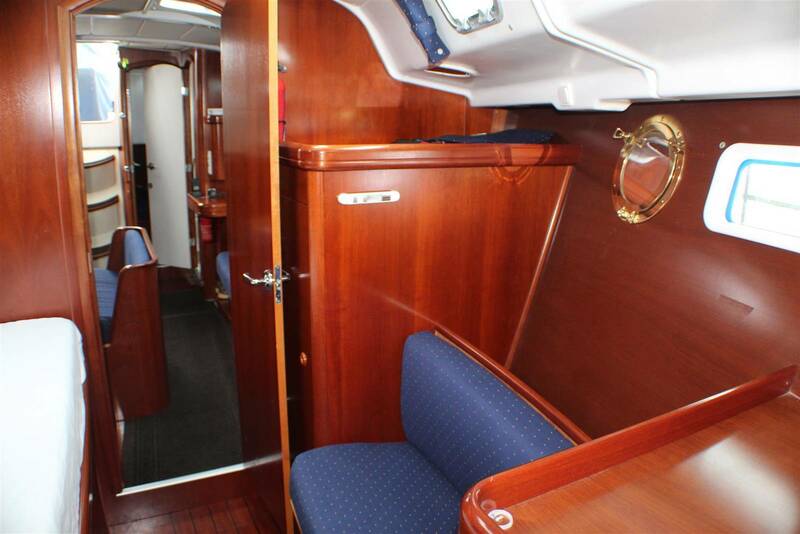 Very spacious cabin with plentiful storage throughout. 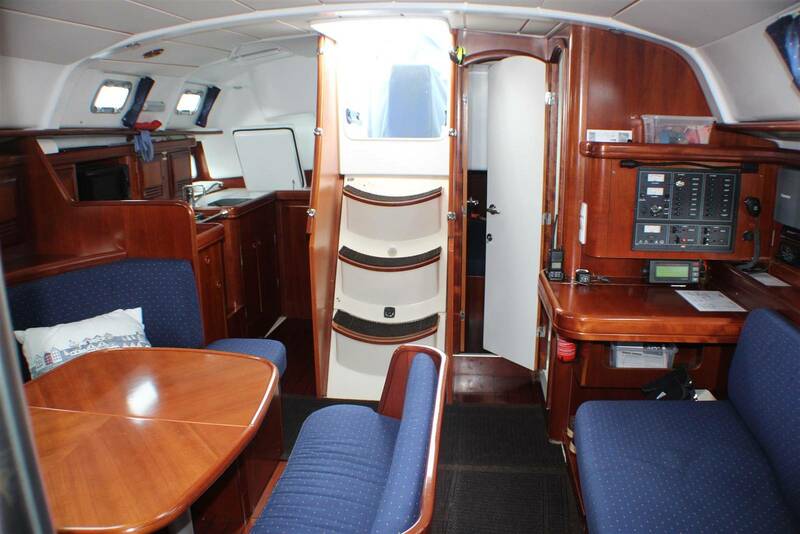 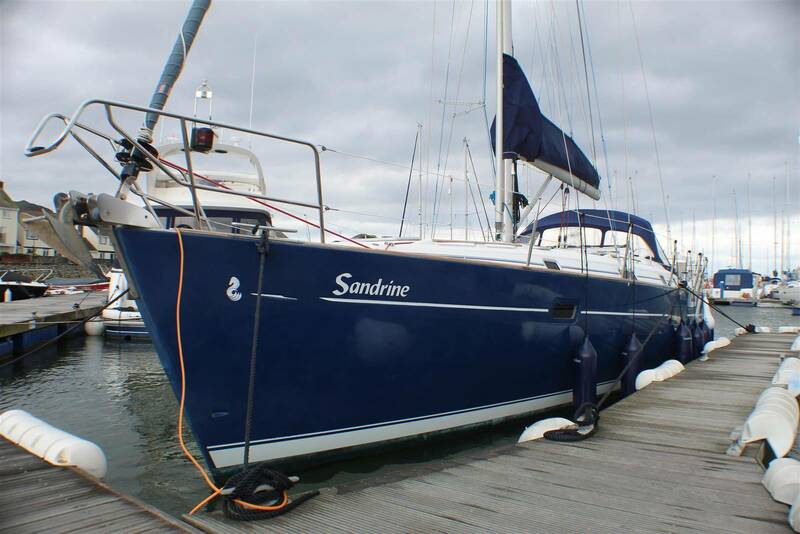 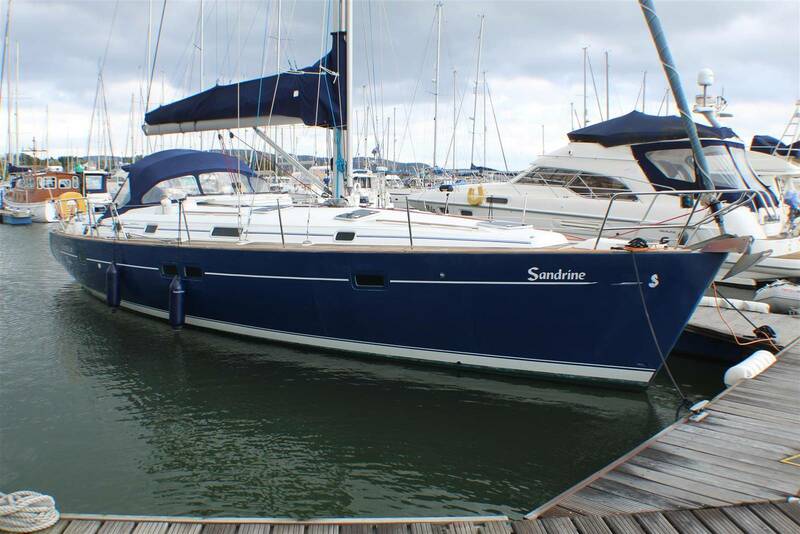 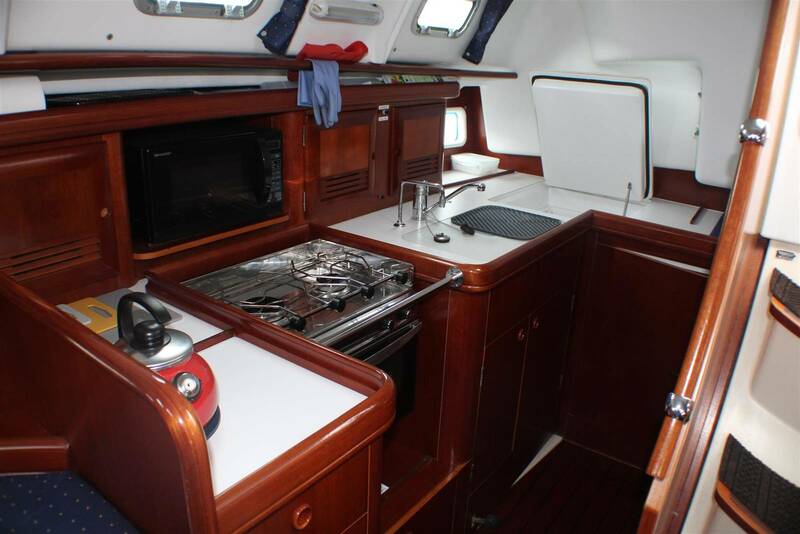 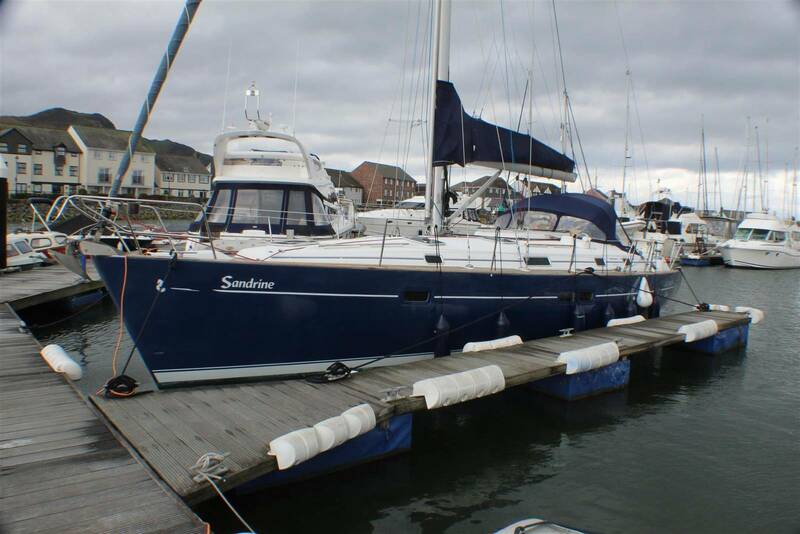 Galley to starboard with 2-Burner gas cooker with oven and grill, Microwave, Fridge with freezer compartment, and large stainless sink. 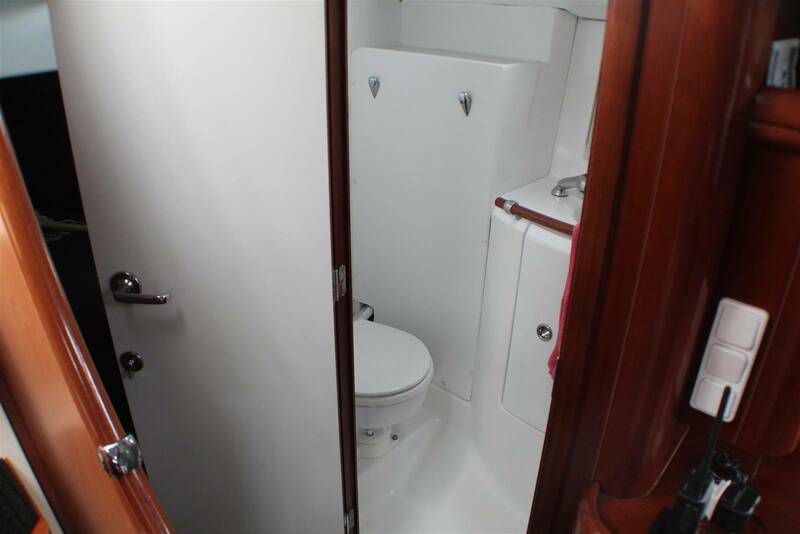 Twin head configuration with Jabsco toilets. 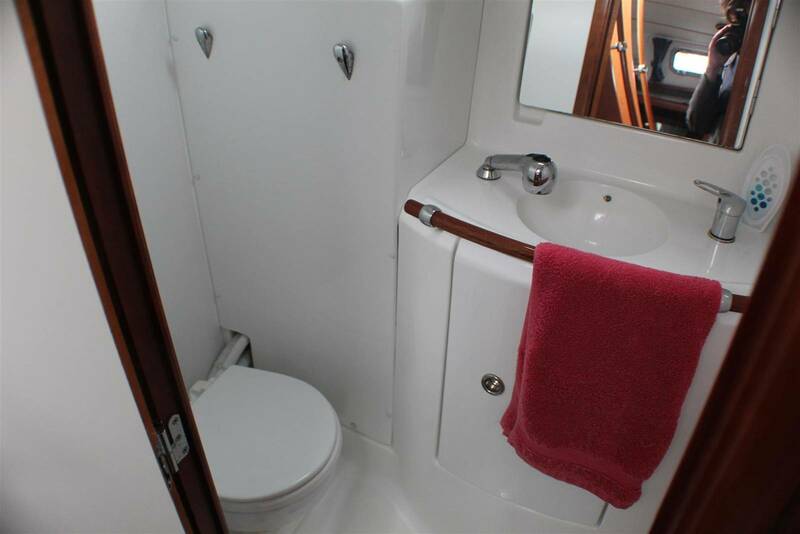 Pressurised hot and cold water throughout. 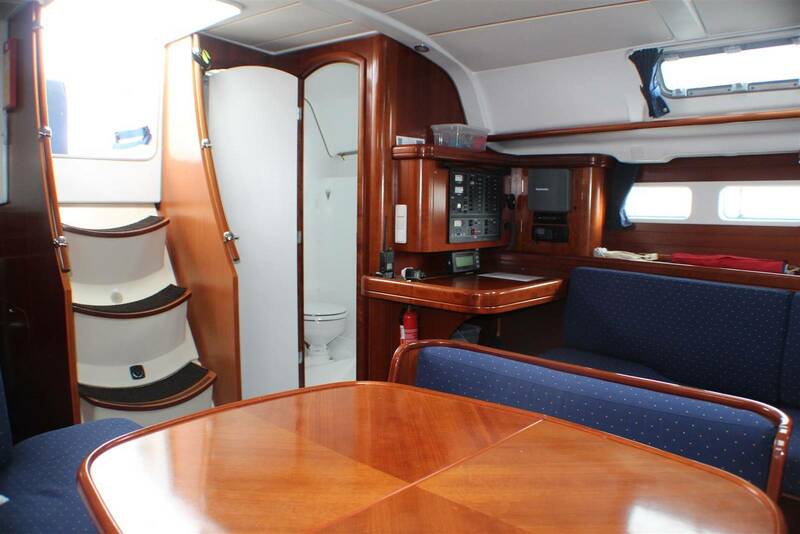 Large aft cabin to port with hanging locker. 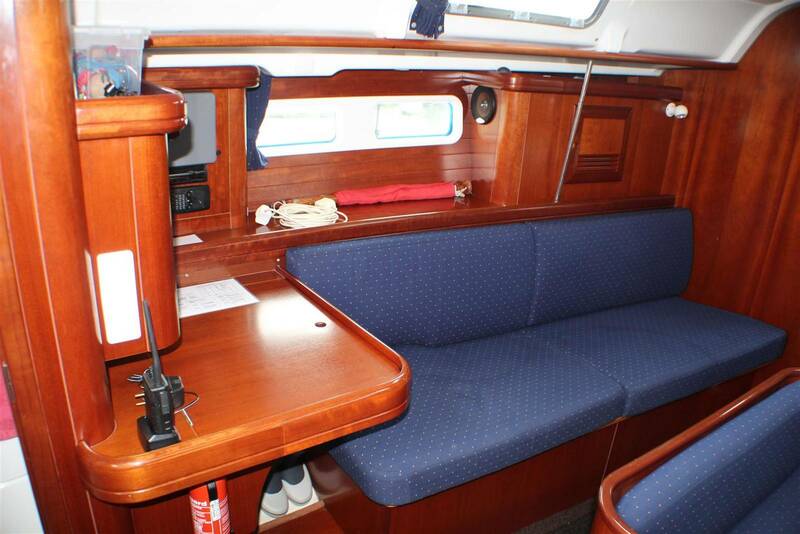 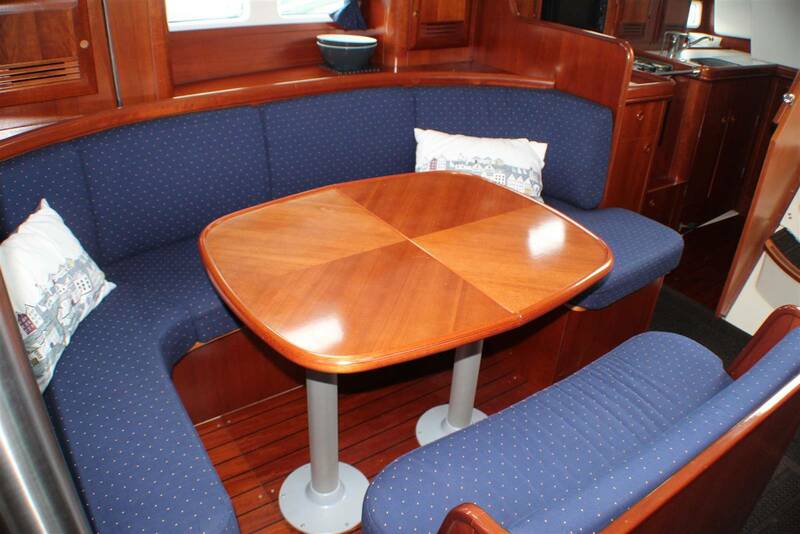 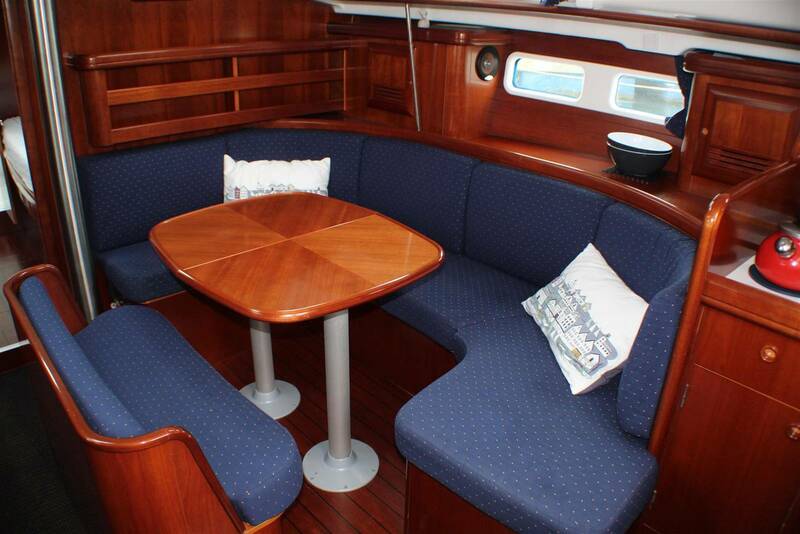 Cherry wood interior joinery with Reps Marine (Blue with yellow dots) upholstery. 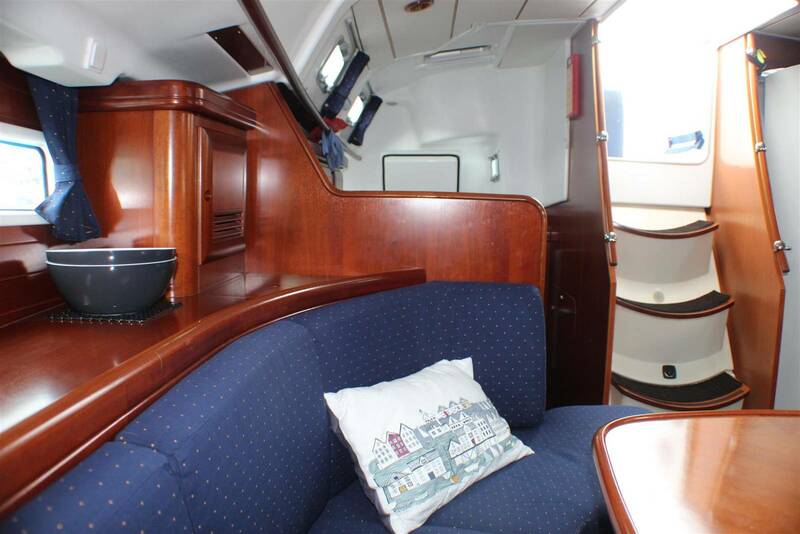 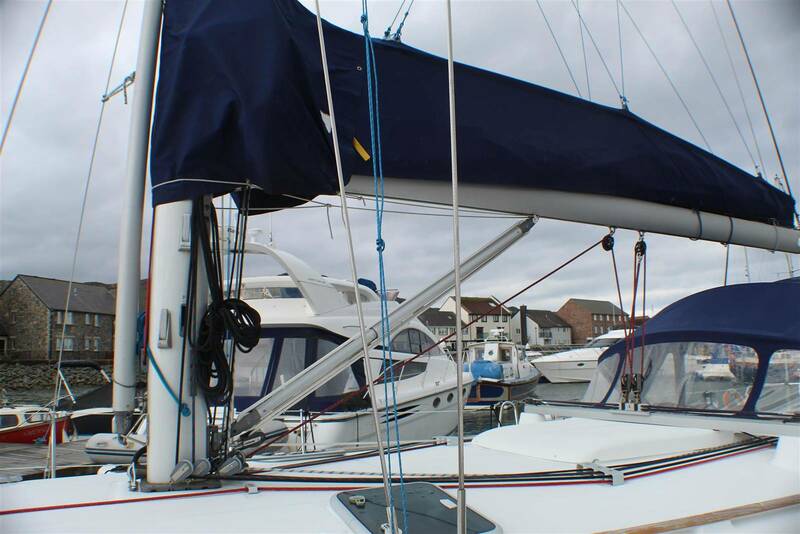 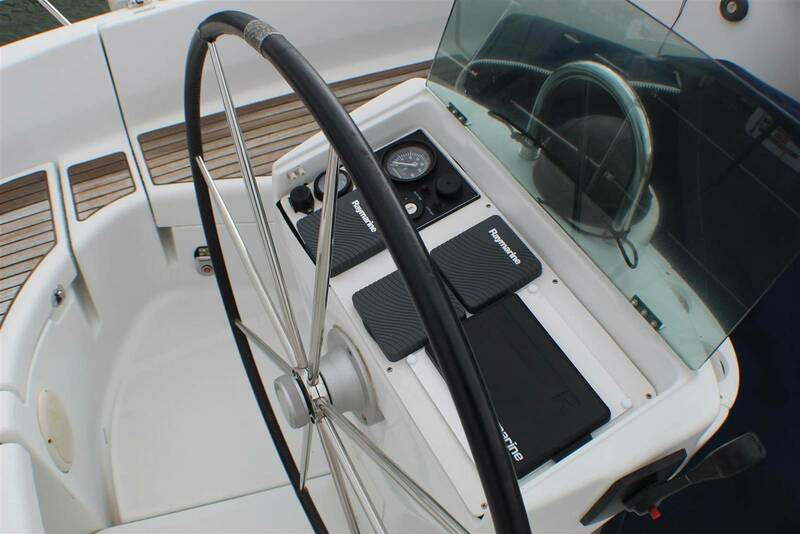 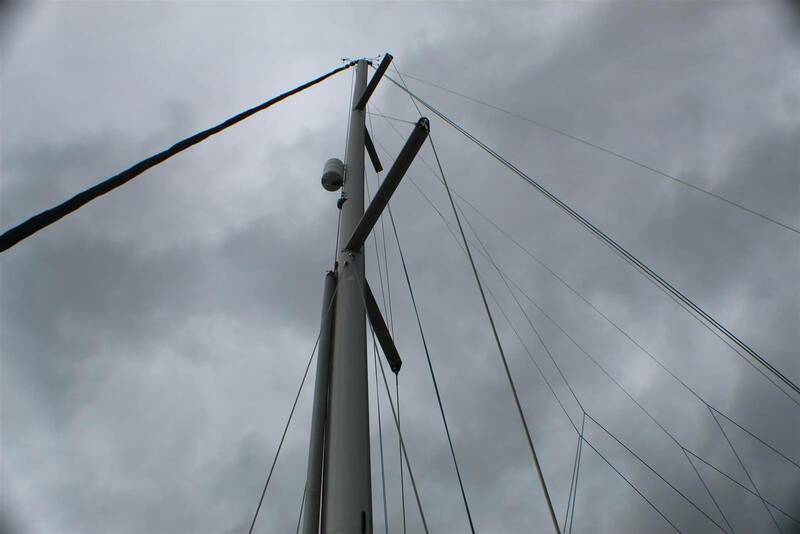 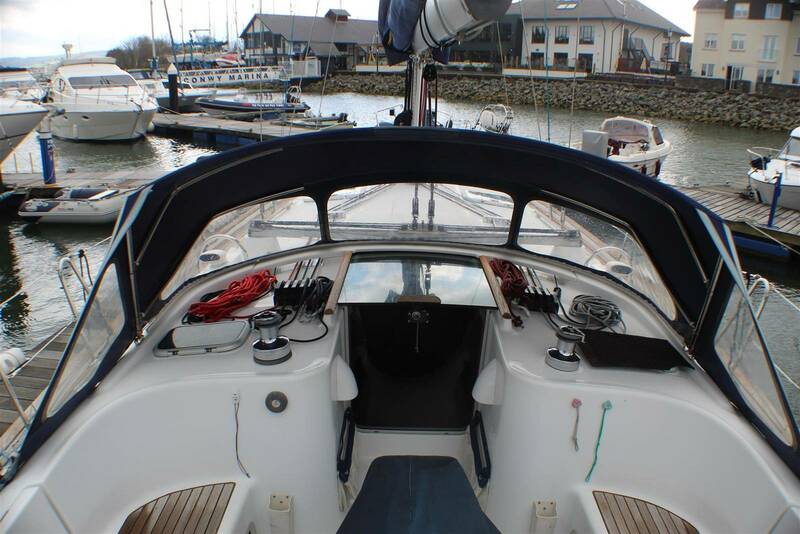 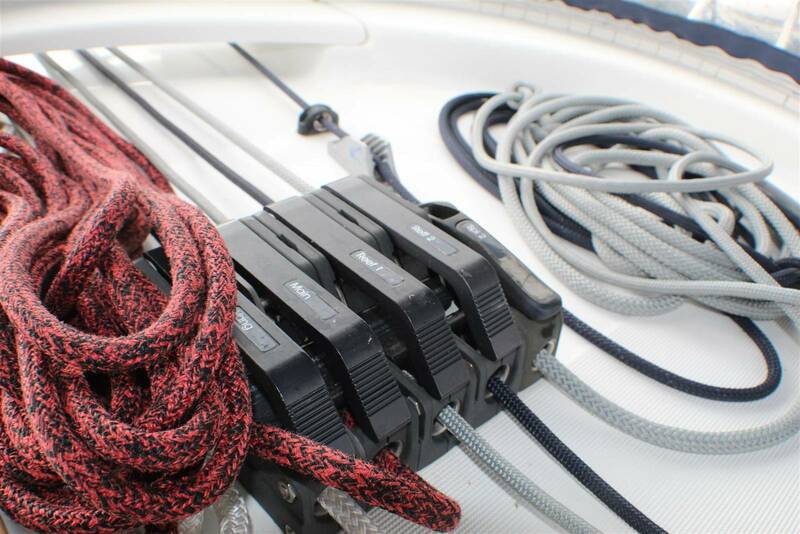 Beneteau Oceanis 411 Celebration, built by Beneteau Group in 2002 to a design by Group Finot. 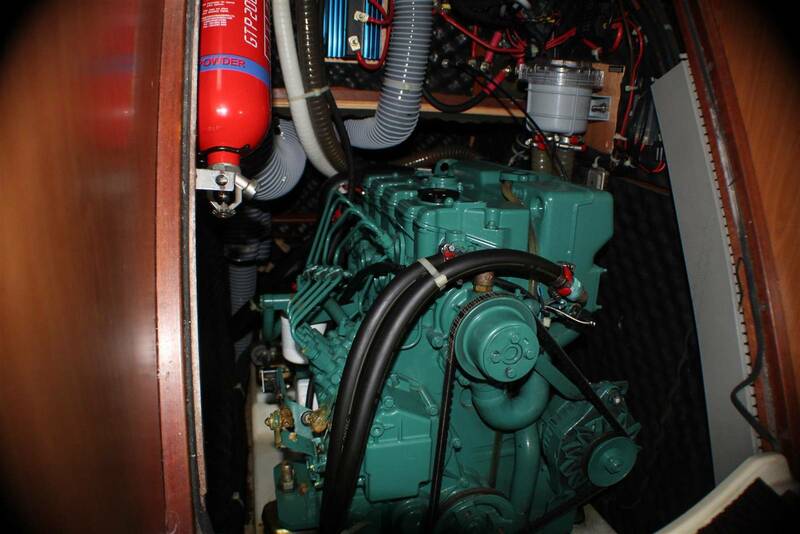 1x Volvo D2-55 55hp Diesel engine, conventional shaft drive to folding bronze propeller.